11 Years and Counting - A deliberate entrepreneur but an accidental boss. Started the journey in 2000. It was during this time that a very good friend of mine, M, called from Kuala Lumpur to ask me some technical stuff about web design, hosting, e-commerce, database designs etc. As she was a very good friend, I volunteered that if she needs me to go Kuala Lumpur to sit-in some meetings she has with her vendors, I’ll be glad to oblige. Weekends were important for my wife and I, due to our work schedules, like most couples, the only time we can spend together was during the weekends. However, during one of the weekends, I left my wife in Singapore and went to KL to help M. It was no big deal since it was only one weekend. I left on Friday and would be back on Sunday. The SIN-KL-SIN bus trip cost me about $80. M and her business partners, P and K, put me up in a nice hotel. I met with some of their vendors and gave them my opinions on the vendors’ various proposal. I guess they trusted me and found my knowledge helpful, I was invited back to help them again. The second trip was for one week. This time, I stayed with P and M in their rented apartment at a very classy area. I had also started to subscribe my mobile phone’s roaming service which I did not enable since I started my business. Yes, even the $10 per month subscription fee was worth saving. My finances was that tight. During the second trip, I got to know P and K much better. I got along with K very well. He was a very patriotic Malaysian. 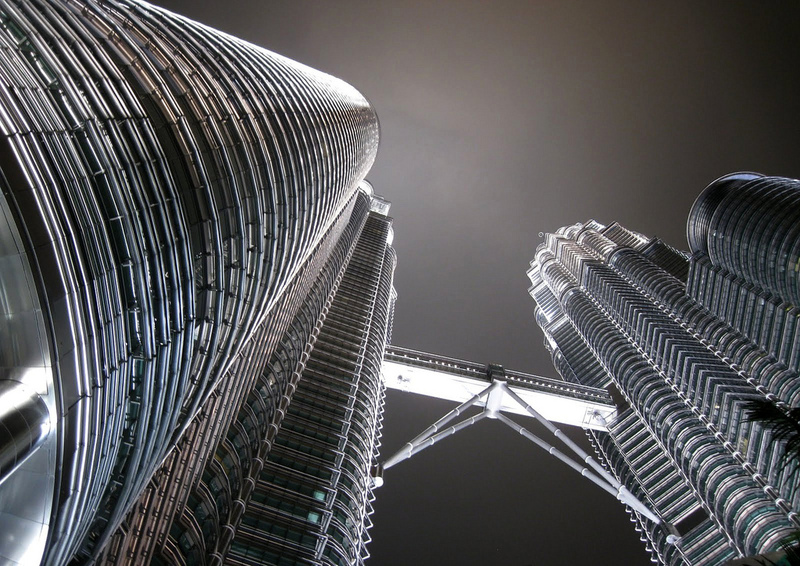 Every time he drove by the Petronas Twin Towers, he’ll proudly proclaims, “World-class!”. K wasn’t pretentious nor was he trying to be a show-off. I could really feel his genuine enthusiasm of his country’s achievement. I had been working alone for too long. I missed the camaraderie of friends and colleagues. I was glad that M was in a team of friends instead of like me, working alone. P had a different character altogether. Compared to K, P was polished and refine while K was rougher on the edges. When K and P are together, you’ll think P was the boss due to the way he carried himself. P exudes extreme confidence (almost on the verge of being cocky) and you can tell that he was used to people listening to him. Surprisingly, K was the major shareholder and thus the CEO of the business set-up. P was the COO. There was one night, P and M brought me to chill in Bangsar, a district in KL. It was very similar to the Holland Village in Singapore. The night scene was pretty exciting to me. Especially since I had not been to Holland V’s night scene. Bangsar had lots of beautiful people and cars. P was smoking cigars and we were drinking red wine at one of his regular pub. We were sitting at the outdoor area. It was a great place for people watching. The whole debonair lifestyle was very seductive to me – an unworldly geek who had not been exposed to the ways of the glamourous business world. I respected P. I thought he was a great and successful person. A part of me wished that I was in the team and I won’t feel so lonely anymore. During my third trip, I stayed for two weeks. It was an especially difficult trip as my wife just missed sending me off at the bus depot as she was held up at work. She only arrived when the bus was already moving out of the depot. It was heart-breaking to see her disappointed face from the bus window. I had to spend another $80 for the bus trip. For all the three trips, I was never paid back for the transportation expenses. Granted, my meals were paid for but the total $240 spent was still difficult for me. I had only a few thousand dollars left in my bank then. My income from my business was very little. In Singapore, there were many weeks when I don’t even spend more than $10 in a week. Even though I volunteered to help M, who was my good friend, but I was not obliged to help K and P. I didn’t tell M how I felt as I didn’t want to make things difficult for her, or put her in a spot. During this trip, something happened too. P treated me differently. He treated me with less respect. He treated me like his employee instead of his guest. There was once when my advice and idea was totally brushed off. It was like my idea was a fly and he had simply swatted it away. A few days before I was returning home, K and I were waiting in the car while P and M were running errands, K asked me what I thought of their offer to me, to be part of the team. He said it was only fair that I am part of the team as I’ve helped them for a while already and they hope that I’ll continue to help them. I told K that nothing was mentioned nor offered. K was surprised but quickly added maybe P had not found an opportune time to discuss with me yet. On the day when I was about to go back to Singapore, P still had not broached the topic yet. Instead, he told me that he hoped that I can be back in 3 days time. I told him the earliest I can be back is one week later after I’ve settled my own business which is pending my attention. When it was about time for me to leave the apartment to catch my bus home, he wanted to pass me some work to do when I’m back in Singapore. He tried to burn the files into a CD but the burner was giving him some problem. He kept trying and time was running late. I told him I had to go and suggested mailing the CD to me instead. He insisted that I should wait while he kept trying. I was exasperated. Time was trickling away and I was going to miss the bus. I was anxious and getting angry. Finally, when I was about to storm off, the CD was burnt successfully. He risked my missing of the bus home just because he didn’t want to mail me the CD?!! Fortuantely, I managed to catch the bus with just 5 minutes to spare. On my way back, I was thinking on the bus. The whole experience left a very bad aftertaste. I felt cheap and used. P totally had no respect of me as a human being. I was also confused why the offer was never discussed with me. Did he hope that I’ll continue to help them as free labour? There weren’t many more $80 I could come out of my own pocket. I also had my own business to run even though it wasn’t successful yet. Even though my idea was less ambitious and has a much lesser chance of success, at least it was still mine. I made my decision on my trip back. When I reached home, I sent an e-mail to them and told them I quit! Epilogue: Even though a part of me had wanted to be part of the team, to be part of a camaraderie, but the whole experience let me realise that it is always better to work on your own dream than being part of someone’s else dream. It is just not the same. After this incident, I was determined to see my own idea through, whether it succeeds or fails. At least it was my own idea, my own dream. I also learnt that a true man is not measured by his wealth but the true worth of his character. P.S. 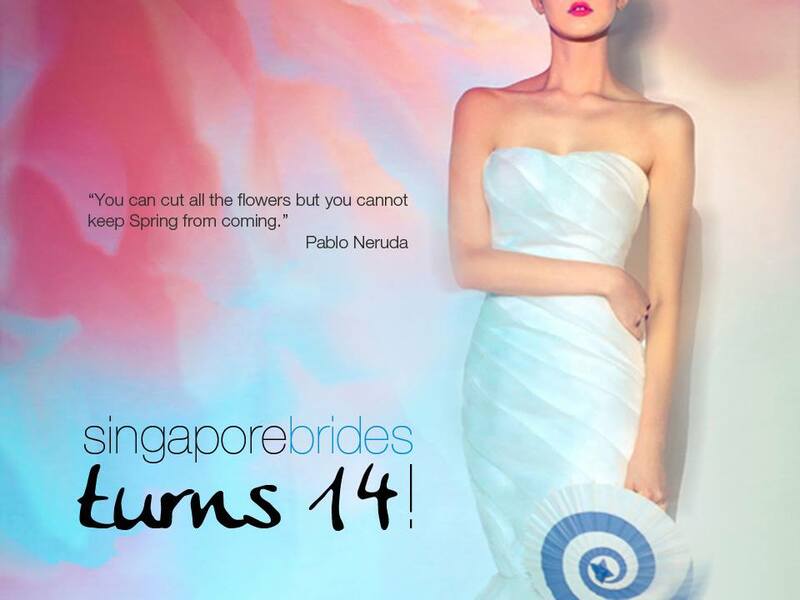 I’ve since made peace with both M and P.
My staff Skype messaged me, congratulated me happy 14th birthday of SingaporeBrides, remarking that I must have felt extremely excited that I managed to run SingaporeBrides, the most popular online wedding site in Singapore, for 14 years. Truth is, I was glad but not extremely excited. I expect and want SingaporeBrides to be around for at least another decade from now. So 14 years were just… 14 years. Maybe it’s just the Vulcan side in me. For people who know me, I tend not to get overtly happy over things. I have the tendency to suppress my happiness. Maybe it is the fear of jinxing happiness? Maybe I rely too much on the logic side of my personal being to suppress my emotional side? In the past 3 years, the industry had gone through a tumultuous upheaval. I’m glad we’ve adapted to the changes and came out stronger and in a better position. Sometime during these 14 years, I have also started another successful portal, SingaporeMotherhood.com. And it has also just past it’s 9th year on 3 May. And I guess that makes me a serial entrepreneur and not just a one hit wonder. Heh. Looking back, maybe I do have something to be happy and proud about. A heartfelt happy 14th birthday to SingaporeBrides and 9th birthday to SingaporeMotherhood, from one of the longest running serial entrepreneur in Singapore (I think). 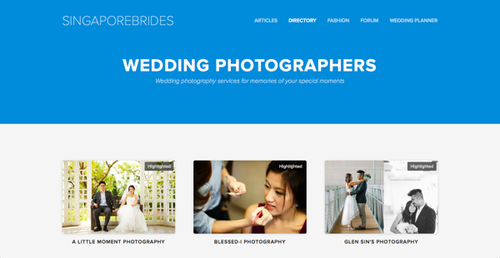 Last Wednesday, we launched some new features for wedding photographers in SingaporeBrides and revamped the listing page. Previously, the wedding photographer’s page will consist of their contact details and a maximum of twelve images to showcase their works. We had wanted a page with all the necessary info at one glance so that it’ll be convenient for wedding couples to shortlist the wedding photographers for their consideration. Time has changed since then. In the advent of social media and the increasing popularity of Instagram, we are constantly bombarded with images. Twelve images per photographer seemed insufficient in this age of information overload. Since the introduction of DSLR cameras and compact flash cards with ever increasing capacity and decreasing price, the barriers to entry of wedding photography industry has come crumbling down. It didn’t help when a wedding photographer was interviewed many years ago and reported to charge $10,000 per job. These have led to a large increase in people (having a DSLR camera and shooting wedding photography does not a professional wedding photographer make) offering wedding photography services. When supply increases and demand remains stagnant, this increased competition has driven the price sharply downwards and sometimes to unsustainable levels. So how do we help our wedding couples choose a wedding photographer whose style matches their sentiments? How do we help the wedding photographers show their many beautiful albums of work? We are doing this by introducing 1 terabyte (TB) of wedding gallery with 6 different themes to showcase the work of wedding photographers. This way, the photographers no longer have to worry about online storage charges and bandwidth. They can now upload and showcase their work to their hearts’ content. Would this cost us? Of course. But wedding photography is important for the wedding couples so this is how we want to help our wedding couples who visit SingaporeBrides. Many, many, many years ago (circa 1996), just after I graduated and started working (yes… that long ago), I had an idea, different from what I am doing now, so I gathered my 3 best pals from university and suggested the idea to them. All were excited by the idea and were fired up to start the business. Many nights, we met in a cafe after work and basically just talked and discussed about our future venture. Like many internet start-ups (who wasn’t dreaming about being a dot com then? It was dot com fever/rush), we doodled on paper napkins and planned the steps we needed to take. We talked about our visions, our hopes, our aspirations and how big we were going to be. We would talk until the shutters came down and the cafe closed. We would then all return to our respective job the next day bleary eyed and yet feel pumped up again when we meet in the evening. It was a very happy time. There was a strong bond and sense of camaraderie among us. Then it was finally time to start the real work. Based on our strengths, I assigned tasks for each of us. Even then, I had the knack of identifying individual strengths and weaknesses. The next meeting would be one month later. When we met again, E brought in another friend of his, J. E was responsible for the graphics and design portion of our internet project. During our many early discussions, we identified web programming as the weakness of our team. At that time, PERL (cgi programming) was the language to use and B was assigned to take up that responsibility. Apparently, E was not confident that we would be able to resolve our lack of technical skill, so he brought in J.
J was a programmer and he was proficient in PERL and web development. The problem was, J already had his company and it was a company of 4. If we collaborated, it would become a company of 8. Too many chefs in the kitchen. During the many meetings after J joined, J gave me the feeling that he looked down on our team. He felt that our success solely depended on him. He gradually treated us like second class citizens and put us down. As time goes by, the meetings became more and more infrequent and then they just stopped. I didn’t call for any more meetings because I knew then that the team would have many friction and disagreements due to J’s involvement. He did not respect nor value our contribution. We just quietly went our separate ways. From that point onwards, I vowed that I would do something on my own and not depend on anyone in future. I started buying lots of books and did self-studying, getting myself ready for my next eureka moment. I paid attention to ideas that I can do on my own. It took me another three years before a new idea (my current venture) came upon me which I believed I could do it on my own. In between, I read up many technical books and kinda become Jack of all trades but master of none. The first 3 years of my own start-up was one of the toughest periods of my life. Something about the New Year eves then would always make me feel very blue and down. Even though I may be surrounded by party revellers, I would feel like an island in the sea of people. When people were out celebrating, I would be wondering if it was time to give up. It didn’t seem like I was getting anywhere and I still had bills to pay. Self-doubt was a monster which constantly challenged me. Yes, working alone was really tough. When I had problems, I had no business partners to share the burden with and I had to do everything on my own. However, I was fortunate to have married a very supportive and understanding wife. It was my wife who held my hand and walked with me through the darkest patch of my life. But many of the lessons I learnt then made me who I am today. I was trialed by fire. After many years on my own, I am now very used to making my own decisions, implementing my own ideas and solving my own problems. That being said, I would encourage people to have a team. The trick is identifying the right partners and managing the ego and expectations of each individual. Usually, with the right team, you should be able to achieve more in a shorter period of time. Working alone, I was usually constrained by what I myself can do. I don’t think there is a definite answer to the question if a startup should have a co-founder. Different circumstances require different approach. My circumstances pushed me to walk the path alone. 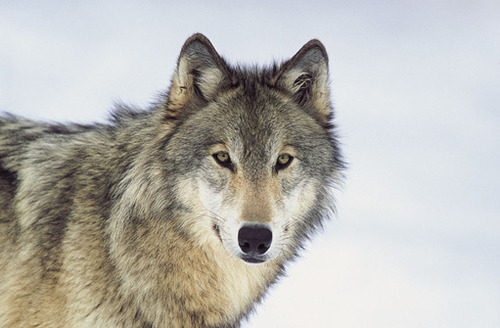 Mabye, just maybe, I was born to be a lone wolf. Storm by Daniel R Thompson on Flickr. Year two was pretty similar to year one in many ways. The prospects still didn’t look promising. More competitors joined in the fray. I was still drinking non-chilled bottled water just to save 10 cents. I was still eating cheap meals or plain bread when I can’t stand the hunger. However, there were three events that I believe altered the course of my entrepreneurial life. I made friend with a contact’s brother, P. He was an insurance agent but was always looking for better business opportunities. I guess my business intrigued him. He had expressed interest in my business so we met up. During our meeting, I told him honestly that it had been difficult for me to get clients. I showed him my business model and told him the selling price of my product. He told me as my concept and product was new, I needed to relate my product to its most similar existing product. Also, he asked me to raise my price based on the similar product. 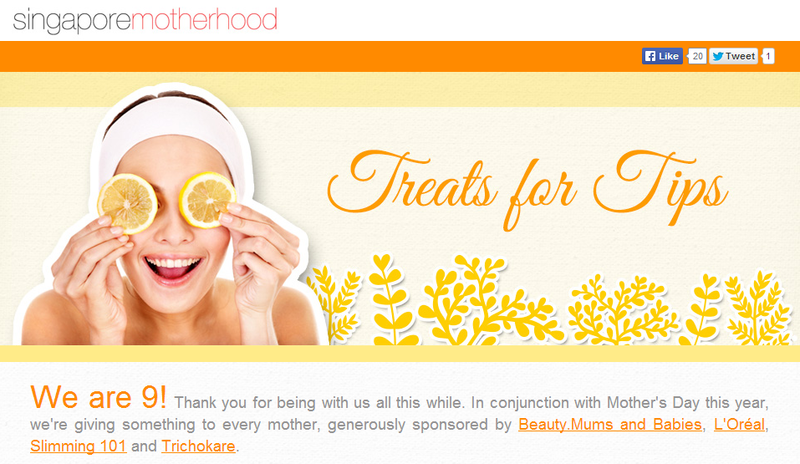 Before I met P, I was marketing my product in a totally different angle (website design and hosting). After I met P, I was essentially still selling the same thing but repackaged my product and was promoting it to the potential clients from a new angle (advertising) which they can relate to and understand. Because of that, I was able to raise the selling price of my product to 3 times the original selling price but it was 50% cheaper than then comparable product (print advertising). Initially, I was very skeptical. How could I sell my product at the new price when I had tremendous difficulty selling when it was 300% cheaper?! Anyway, P gave me a few pointers regarding the preparation of my presentations. It needs to contain facts and figures like market potential, what my product can do for them, how it compares to current similar products, advantage of my product compared to the similar but non-online products. P verbally indicated interest in becoming a partner of my business and he promised to join me when I meet potential clients. In the end, P only joined me in one meeting and he just quietly disappeared from my business venture after that. I guessed he figured that my business was not going to be profitable and he has thus lost interest. I didn’t call him. If he was no longer interested, there wasn’t any reason for me to pursue the matter with him. Lesson learnt: No one is more interested in your own business other than yourself. However, unknown to me at that time. It was fortunate that he recommended that I increase my selling price by 3 times. If not, I would have to sell to 3 times the current number of clients that I have to generate the current level of revenue. Assuming that I’ve 33% market share now, it means I would need to have nearly 100% of the market to have the same revenue which is impossible. If I didn’t increase the price to the current rate, my business model would not have been sustainable. The powerpoint presentations also helped. It made my presentation a lot more coherent and the clients were able understand more. It was a lot more convincing than before since I’ve included data and facts. This had helped to clinch some deals for me. There were still very little confirmed clients but it was a mark and definite improvement. Note: This event has made me realised, many years later, that selling cheap is not the only strategy. In fact, competing by price alone is one of the worst marketing strategy. Met KL, an ex-hostel mate from university. At that time, I still wasn’t sure if I should adopt the new (increased!) pricing strategy. I shared with him my uncertainty. Then he told me about his own entrepreneurial experience. He told me there was a time when his business was going to cease as his company has introduced a totally new web service to the Internet for free. The web service was so popular that it constantly ate up their bandwidth. It was so popular that users from all over the world were using it. When the monthly fix amount of bandwidth he and his business partners bought from the Internet Service Providers (ISPs) were used up, they had to pay more to increase their bandwidth. However, as soon as they bought more, the bandwidth was used up again and their website will be inaccessible. They also realise that it was impossible for them to keep using their own savings to pay for the bandwidth. Their savings were limited. They finally decided that the web service would no longer be free. Subscription fee would be required. They realise that all the users may abandon them and stop using their service. To continue providing their service for free, it means a definite end to their business; but the alternative, even though it may end their business, at least there exist a fighting chance. Based on this bleak scenario, the obvious choice was to choose the path that offers a slim hope, no matter how small. After hearing that, the decision became obvious to me too. To this day, KL and I are still in constant contact. We’ve shared many business experiences and remain firm friends. A few days ago, I was invited to meet with a local MNC to join in their new project. During the meeting, after I realised it would be a win-win collaboration, I agreed to be part of the project. At the same time, I was thinking of fellow entrepreneurs whom I thought their company would benefit in the collaboration so I suggested to the MNC’s representatives that this certain company would be a suitable partner too. The representatives were surprised that I know them as they had already been working together and neither my name nor my company had been mentioned. I just smiled and replied that I’m glad that they are working together already. Deep in my heart, I felt a pang of disappointment. Why didn’t my friends think of suggesting my company in the collaboration too? Previously, in many occasions, when there is opportunity, I would introduce suitable fellow entrepreneurs companies during my business meetings. In one occasion, when a foreign company was seeking investment opportunities and looking for promising startups and companies to invest, I had introduced them and one other company to the foreign investor. In another occasion, when there was also a collaborative project with another local MNC, I had also introduced them to the project. For friends and entrepreneurs who know me, they know that if they needed a listening ear or someone to bounce ideas with, I’ll be there for them. I had shared my experiences, ideas and advice with them. I’ve told them what ideas would work, which of my ideas had failed so they wouldn’t need to waste time and resources repeating my mistakes. 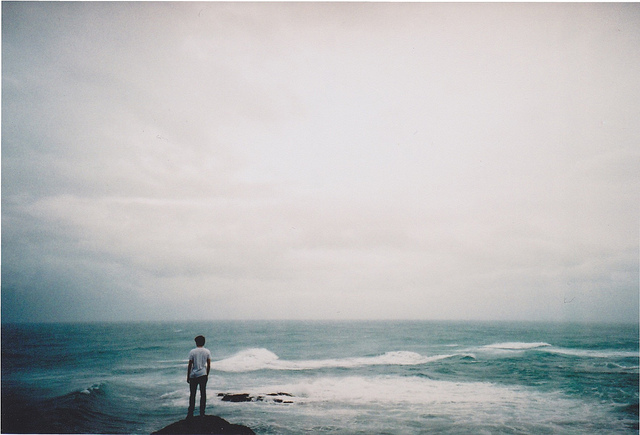 The sudden realisation that my efforts were not reciprocated left me feeling stranded and alone. I knew that the entrepreneur route that we embarked is filled with challenges so I told myself that I would try to help fellow entrepreneurs when opportunity arises. I’m not seeking reward for my effort but a simple hat tip would be appreciated. 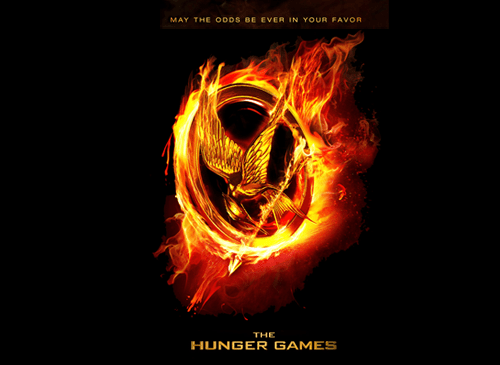 In this world, does it really have to be winner takes all? The world is big enough for more that one success story, isn’t it? Why can’t we stand on each other’s shoulders and help each other reach the peak of success? Feeling dejected, a part of me thinks that I should just focus on my own company since everyone 自扫门前雪 (only sweeps the snow in their front porch).